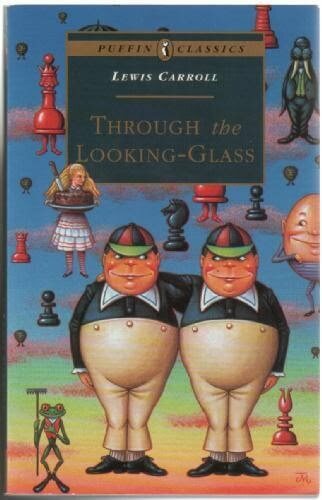 The story rambles through the tale of Alice, an imaginative little girl who gets whisked away on an adventure through the looking glass in her nursery. And that’s about all that can be said for plot. 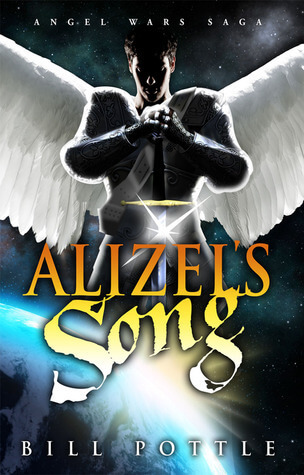 Alice unexpectedly finds herself in one crazy and chaotic setting after another. Talking flowers. Mischievous twins. A demanding Queen. Roads that lead nowhere. Unknown lands where one forgets his own name. “Curioser and curiouser…” the list goes on and on. I once read that children are often uninterested in, or even frightened by Lewis Carroll’s book because it lacks the order that children need in life. It’s all too familiarly nightmarish to be considered a fairy tale. Going into the book, I expected to find nothing worth writing a review about. However, I was unusually surprised. There’s a glory for you. Ironically, I read this book during one of the worst travel experiences of my life. I found myself commiserating with Alice as I too found myself whisked away through one chaotic place to another, always feeling as if I didn’t know the rules, and yet trying to be as cooperative and pleasant as possible. And so, these words from the White Queen were quite a comfort: “Consider what a great girl you are. Consider what a long way you’ve come to-day. Consider what o’clock it is. Consider anything, only don’t cry!” This book was worth the read because it gave me something to do as I sat through surprise layovers and long flights. It also helped me to laugh at my situation, because no matter how bad it got, Alice’s journey was ever so much more ridiculous. 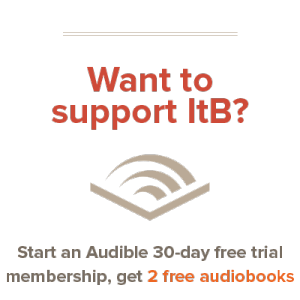 Buy Through the Looking-Glass on Amazon and Support ItB! 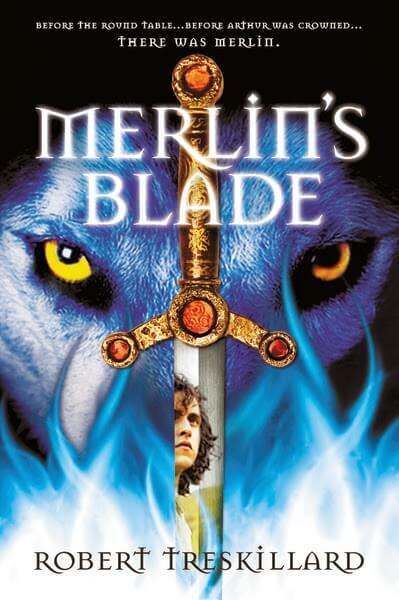 Merlin’s Blade, by Robert Treskillard, promises to deliver a fresh take on the often-repeated stories of Merlin and King Arthur, holding out the tantalizing offer of an entire series of Arthurian legends, of which it is only the first. Surprisingly, Merlin’s Blade actually meets many of these very big promises. While its flaws still remain very evident, overall it is a solid book that is engaging and interesting. Read on for more. I had such high hopes for the book. In the author’s note, he asks “Could the Works of God in nature give us a lens through which to understand the Works of God in Scripture?” Being a fan of Creation Ministries International, I was really hyped up by that question. Unfortunately, the book actually compromises the Bible, which means I can’t recommend it. 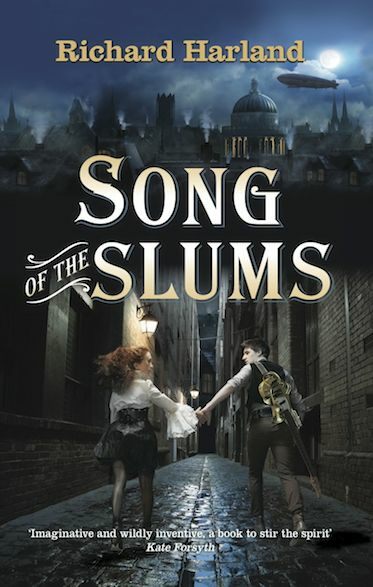 When young Coraline Jones finds a mysterious passageway in her family’s home, she crawls into a world exactly like her own – only better. Here, nobody says her name wrong (“It’s Coraline, not Caroline”), the toys are marvelous, her bedroom is delightfully pink and green, and the food is actually edible (unlike her father’s “recipes”). Her parents in this alternate world look exactly like her real parents, but with shiny black button eyes and ghastly paper-white skin and a fervent desire to keep Coraline on their side of the door. Coraline can have everything she’s ever wanted – so long as she’s willing to allow her own eyes to be replaced with buttons. Did I mention this couple is just a tad bit creepy? 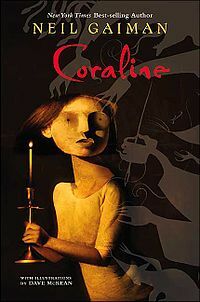 Clearly, Neil Gaiman’s Coraline isn’t your typical Disneyfied fairy tale. It’s dark, whimsical, sinister, smart, and funny – frequently all at once. You will recall it was Lewis who once said that “a children’s story that can only be enjoyed by children is not a good children’s story in the slightest.” If this is true (as I believe it is), then Coraline is a very good children’s story indeed. I haven’t read any of his other novels, but judging from this one, Gaiman is a firm believer in the “short and sweet” method of writing. His style is spare yet colorful, fraught with crisp dialogue and fantastically bizarre images that flicker out of the gloom like candles in a haunted house. It is precisely this restraint that keeps the story from becoming overly dreary or morbid, while still maintaining a keenly creepy edge. Like all the best fairy tales, this one isn’t without a moral or two tucked slyly up its sleeve. Be careful what you wish for is one; be thankful for what you have, however imperfect it may be is another. The world on the other side of the door looks like a lot more fun than the one on this side; but like a child’s version of the Matrix, its “betterness” is merely illusory. When the curtain is pulled back, and the masks come off, we see monsters have been running the show all along. It seems getting everything you want can be an exceedingly ugly business after all. Who’d’ve thought? Upon hearing of this book before publication, I was hoping it wouldn’t be a simple retelling of the classic Arthurian tale. I am happy to report that it is not. Instead, Treskillard brings the perspective a few steps back, beginning with the humble Merlin and his story. The language differences don’t just make an appearance to keep things in perspective, they occur often enough to make the reader uncomfortable enough to figure out what they mean. Also, he steeps the events that happen (not just the atmosphere) in the time period. Families, leadership, and professions all reflect the age, but at the same time deftly shape the course of the story. Considering the people, Treskillard often found ways of skirting the recent character norms and cliched views of the medieval setting. ::SPOILER:: The only weak point I found was Vortipor’s engagement to Natalenya, which didn’t amount to much. ::END SPOILER:: Merlin was crafted well, with carefully-chosen words, as were Owain, Garth, Uther, and Morganthu. Merlin’s Blade doesn’t drag at all. The pace is set very well, and a great deal happens. It’s lengthy, honest, and a pleasure to read. As for the story elements that make up the Arthurian legend, Treskillard has included them soundly in the lore of this series. Many items/characters don’t show up immediately, or are only hinted at, but I have little doubt they will come further to light soon. 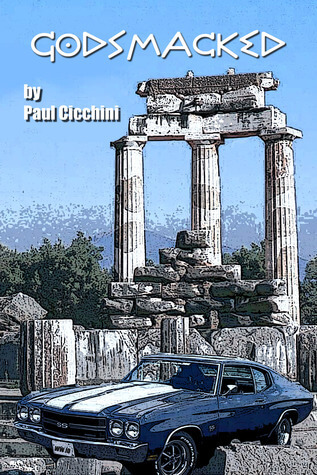 In Godsmacked, Paul Cicchini tries to be the Christian Douglas Adams. As a big fan of the Hitchhiker’s Trilogy of Five, I really wanted this book to work. Unfortunately, while the plot could have worked, theological problems means that there’s no way I can reccomend this book. 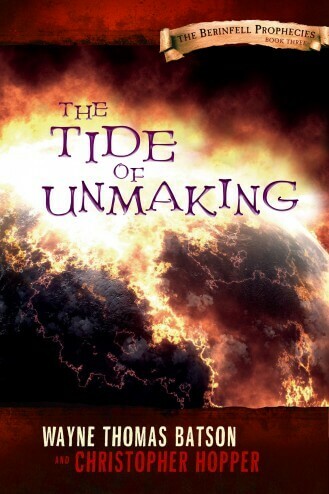 I read The Realms Thereunder, Ross Lawhead’s first book, over a year ago, and found it to be a confusing but generally engaging read. The second book, A Hero’s Throne follows the trend: it’s more than a little confusing in parts, but isn’t a terrible book, at least. Still, it probably won’t be worth much to you unless the first book completely hooked you. The Realms Thereunder introduced us to Neidergard and an entire cast of characters that returns in A Hero’s Throne. Unfortunately, my first impression of the book was confusing. There’s a lot of talking, more weird flashbacks (though of a different sort than the first book), and an ending that leaves you on the cusp of action, feeling as if there hasn’t been any action throughout the entire book. As a matter of fact, both books (and the third, unreleased book), feel that they could have all been condensed into a single book. The plot moves slowly, the characters don’t change incredibly throughout the book, and in general this book feels stale, as if the author had a bunch of backstory and telling that he needed to get out before he could get to the real meat in book 3. I digress; there are some good parts to the novel. Things do move forward, we discover many disturbing things, and there are some interesting twists The incorporeal chapters in particular are interesting to read, even without the rest of the book, being rather disconnected (no pun intended) anyways. But in general the novel feels like backstory, plain and simple. Now, if the first book hooked you and you’re engaged with the characters, backstory is tolerable at best. 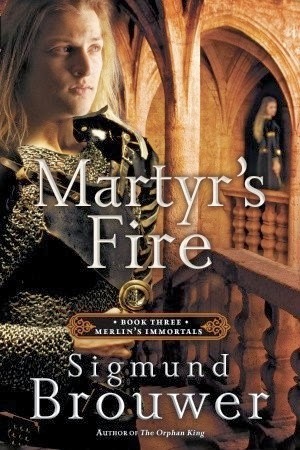 I highly recommend re-reading the first book before reading the second — something I regretted not doing as I had to keep referring back to the first book to remember the characters and sequence of events. If you do so, this will be a slightly boring book, but necessary if you want to read further in the story. While The Realms Thereunder was passably good, A Hero’s Throne doesn’t make that grade. At best, it’s an interesting read if you’re bored with nothing to do. At all. In general, it’s best not to waste your time with this book or the series in general: they’re mediocre books, but written by an author with great potential. 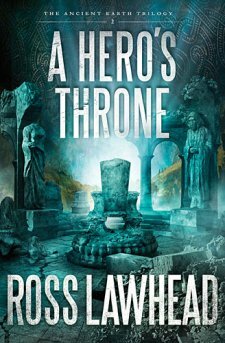 Keeping an eye on Ross Lawhead would not be a bad idea (his father also writes excellent books), but this series is a pass in general.